Below the Davis Dam along the Colorado River we have trout Davis camp and Community park along with rotary park are your go to spots. The shore line that is now accessible along community park has some nice holes along that shore line. Both community park and Rotary park have been having some striper action along with the stocking of rainbow trout. 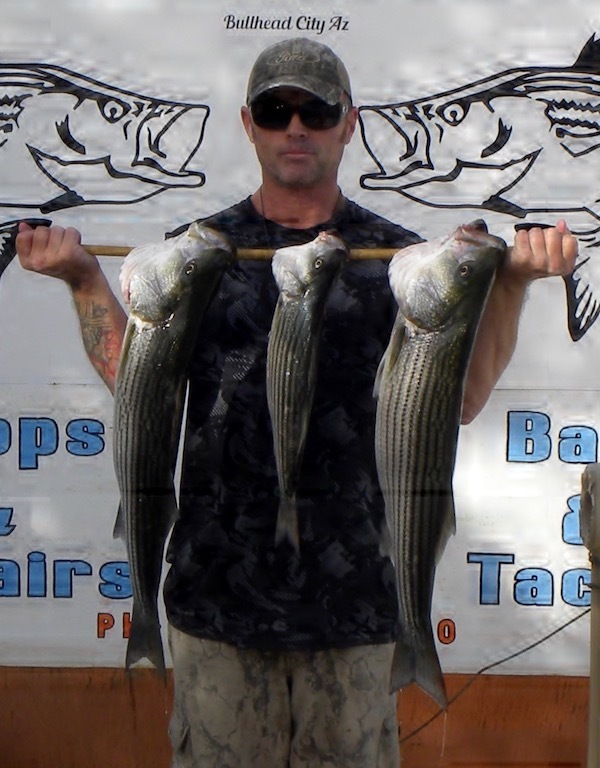 I heard the the nature center has been giving up some stripers and this time of year that is a great area to visit. This time of year we do get some of our bigger stripers coming in but its mostly the little bait stealer in the 1 to 2 pound range. The Lake is Starting to Produce Some Stripers.